On January 17 we held our first Design and project booster Day for the second cohort of our Startup Leadership programme. The aim of our day was to support our founders to develop their projects and build, step by step, prototypes. Indeed, we helped nine women founders to accelerate their projects, from ideas to prototype. We were fortunate to receive the invaluable help from experts from the BIL (UI, UX, Marketing and Innovation). We also were joined by twenty five students from Université de Lorraine / LEA Nancy to support our founders with fresh ideas. During the morning, we presented the founders of our Startup Leadership Program and, divided the over fifty participants – both professional adults and university students – in nine groups, each one directed by one of the founders and focused on art, finance, education, food, fashion, legal, travel. The second part of the day has been about building and running a test about the project above. For doing so, we did not forget to state the value and centrality of users’ experiences, the importance of taking risks and considering all the group ideas and, we of course reminded our attendees to focus on results for not losing their main goals: creating something during the day that can be turned in reality for days. 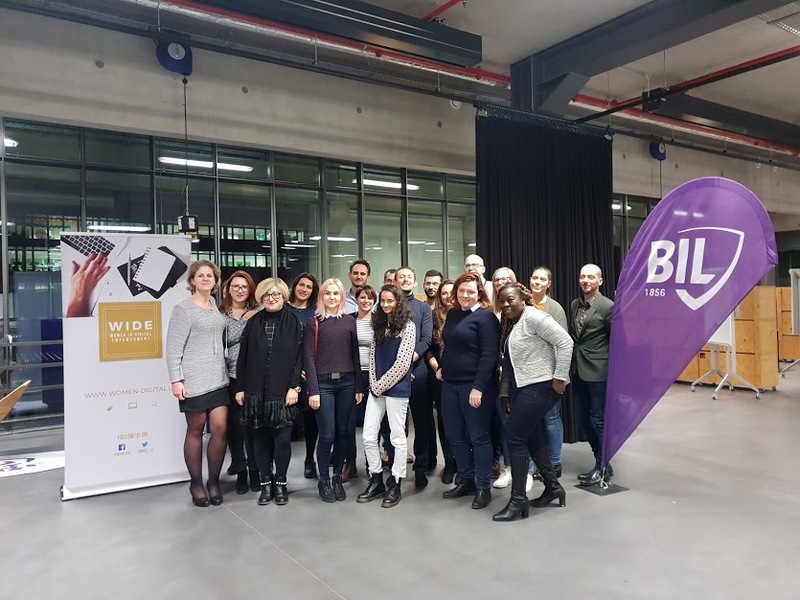 Thanks to the BIL – Banque internationale à Luxembourg for their partnership and to Technoport SA for giving us their location and hosting our Design Day. Besides our previously mentioned partners, we would like to thank all of our participants, including our volunteers as well as the University of Lorraine for the over twenty five curious and proactive students and obviously, all our nine founders for their time and hard work. Interested to know more about this programme? Contact us!